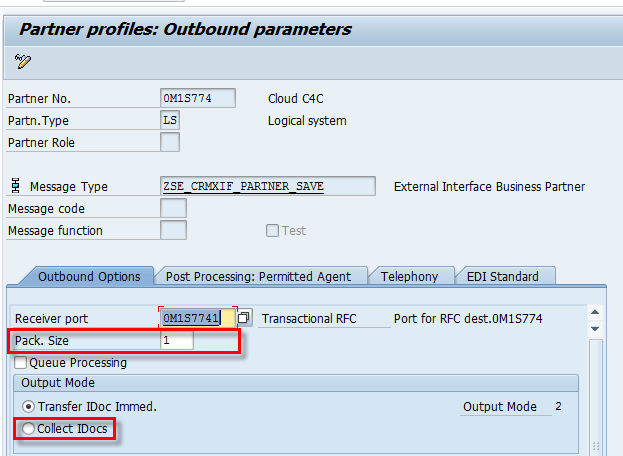 I want to share my experience with regards to data load from SAP CRM OnPrem to SAP C4C via SAP PI/PO. In this blog,I am putting down steps which clearly explains on how bulking/packaging the data in both OnPremise and PI/PO can bring a better throughput for the Initial data load. This blog will explain how different package size in CRM OnPremise and PI/PO can impact the outbound traffic from PI/PO which will in-turn help in a better throughput. I want to include the SAP PI/PO configuration first because this will determine how the package size can impact the bulking. If the bulking is not configured properly, then we cannot achieve the required results. The packet size feature should be enabled in PI/PO. We need to define the packet size in the Define package size in PI with IDoc sender adapter. 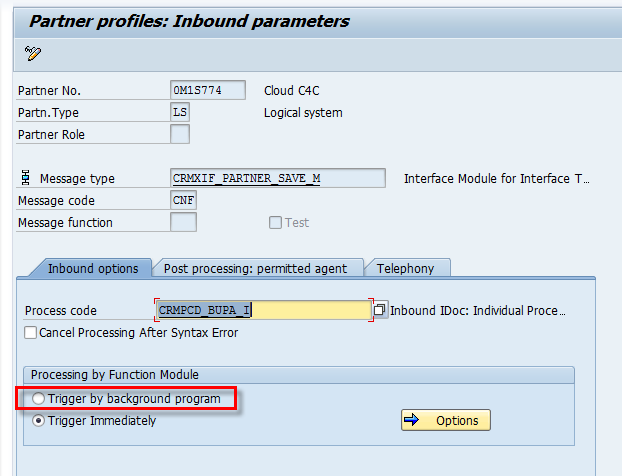 Once the IDOC’s are send from SAP CRM OnPremise to PI/PO in bulk, PI send the messages (Web service) to C4C in bulk i.e. depending on the packet size defined in OnPremise and PI/PO , multiple IDOC will be packaged into fewer messages(Web Services). In the 1st pass , 5 IDOC’s sent to PI/PO, but as the packet size is 4 in PI/PO, the 5 IDOC’s will be further divided in 2 files ( 1st with 4 IDOC and 2nd with 1 IDOC). In the 2nd pass remaining 1 IDOC (6-1) will be sent to PI and one outbound message will be generated in PI/PO. It is recommended that the PI packet size is always kept more than the packet size value of CRM OnPremise. Run the report in back ground by providing the packet size. 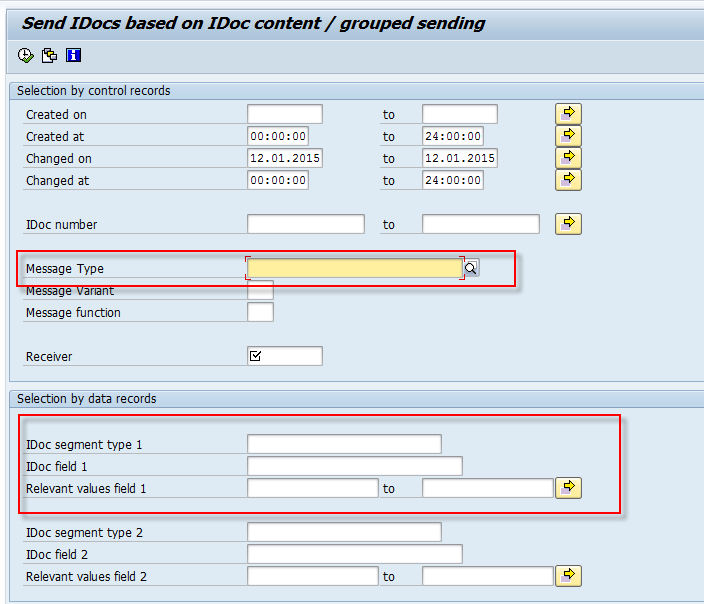 Once the IDOC is collected, execute the report : “CRMPCD_IDOC_SEND_BY_CONTENT”. Just an example: this can be changed as well. Make sure that when you execute the report, you have to segregate between Contacts and Accounts IDOC’s else it will cause issue in C4C. First execute the report first for Accounts and then Contacts. 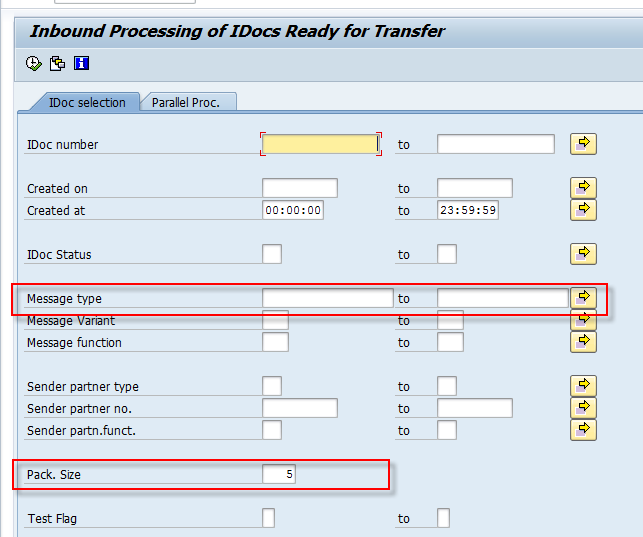 Provide the Number of IDOC per RESTOUT000 and Max number. 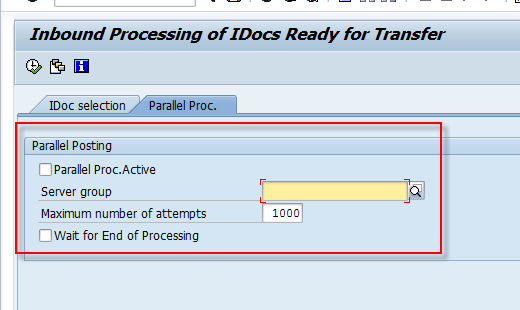 Execute first in the test flag and see how many IDOC are getting processed. After this, execute the report without test flag. Execute the report in the back ground. Go in PI and monitor the messages : Provide the sender/receiver interface name to monitor the specific messages and see everything is working fine. Please open few messages and check if it is consists of information of more than one BP in one message (depends on what is the packet size you provided in the partner profile). Once the above steps are completed, the confirmation message will be sent from C4C to CRM. This can be checked via transaction BD87 or WE02. Enable the parallel processing as well. And execute the report in background to process the inbound IDOC’s, For parallel processing (packaging) the PI setting has to be changed. Happened to see your blog today. Thank you for sharing your experience in a blog. I would like to link to your blog from my blog SAP Hybris Cloud for Customer – All About Integration blog.